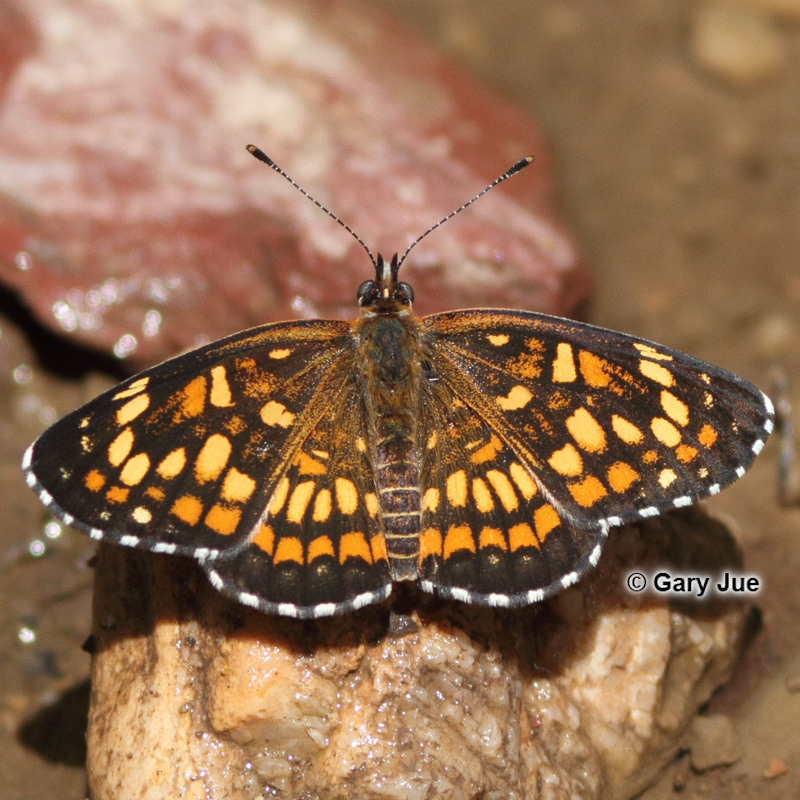 Identification: Upperside with dark checkered pattern. Black median stripe separates inner yellow-orange band and outer orange band. 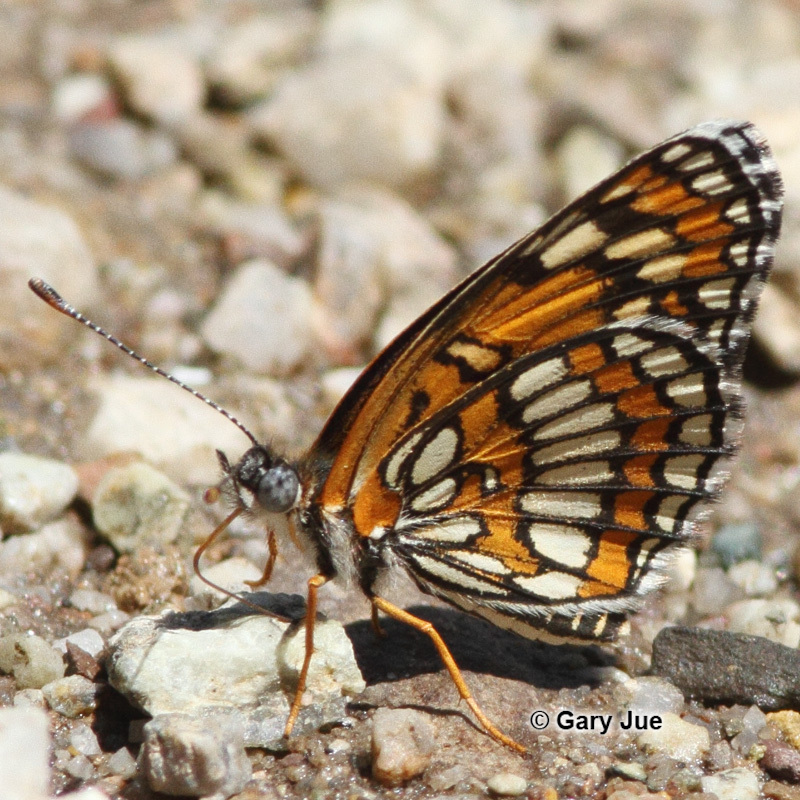 Underside of hindwing has alternating bands of orange and cream spots, all outlined in black. Life History: Males patrol and sometimes perch to find females. 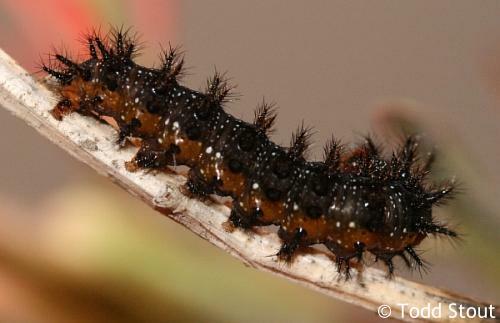 Eggs are laid in groups on the host plant; caterpillars feed on the leaves. Third- or fourth-stage caterpillars hibernate. Flight: Several flights from April-October in the Southwest, throughout the year in the tropics. Caterpillar Hosts: Ceniza blanca (Leucophyllum texanum and L. frutescens) in Texas, paintbrush (Castilleja species) in Arizona. Habitat: Desert foothills and canyons, subtropical scrub, limestone ridges, open oak or pinyon woodlands. Range: Colombia north through Central America and Mexico to east-central Texas, southern New Mexico, and central Arizona. Management Needs: None reported. 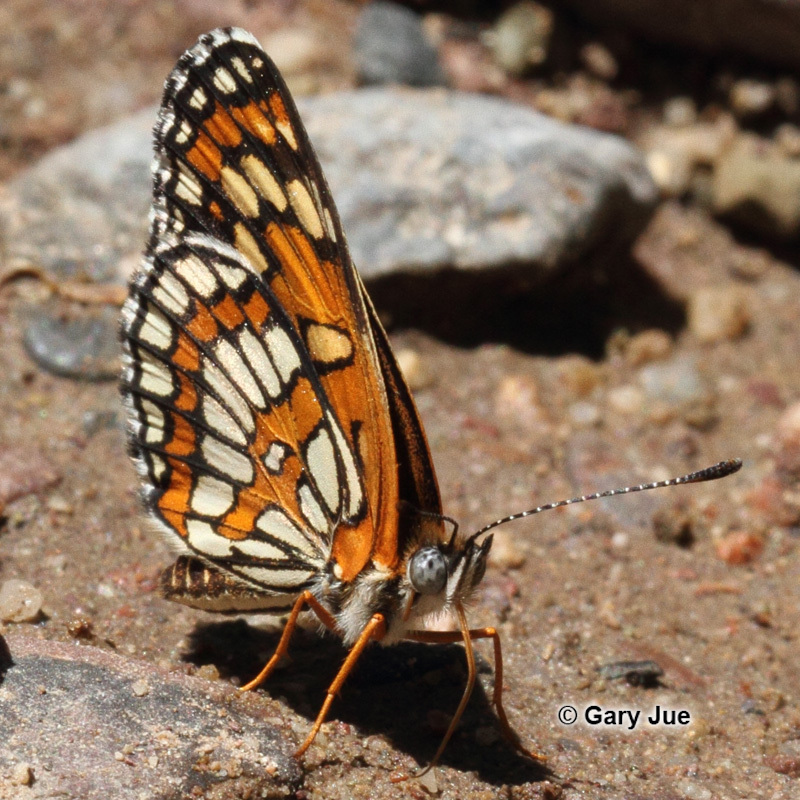 Note: Subspecies chinatiensis, the Chinati Checkerspot, is considered a separate species by some, but it blends completely to more typical theona.